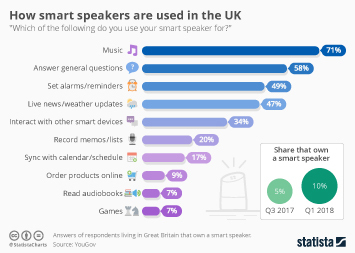 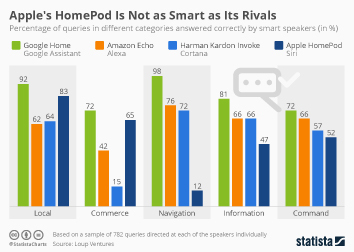 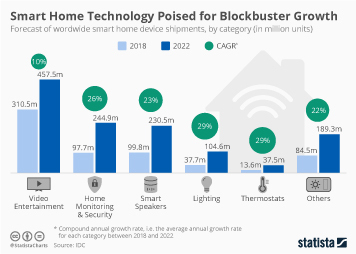 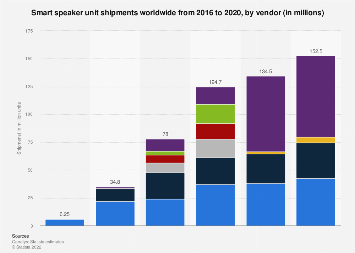 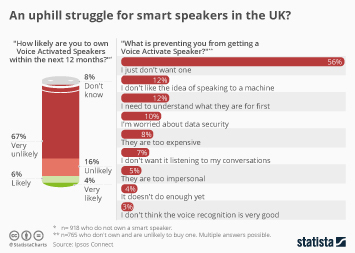 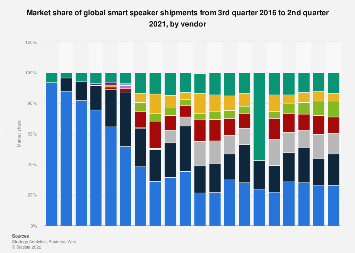 Smart speakers have arguably been the “hottest” consumer technology category of the past 12 months. 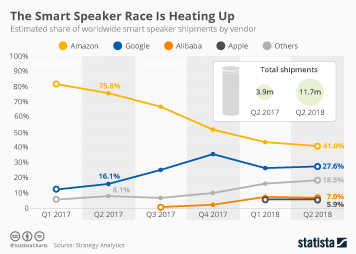 With Amazon, Google and Apple, three of the largest tech companies in the world have skin in the game, indicating that they all believe in the category’s long-term potential. 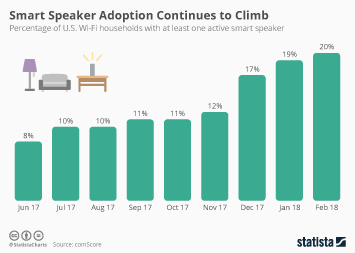 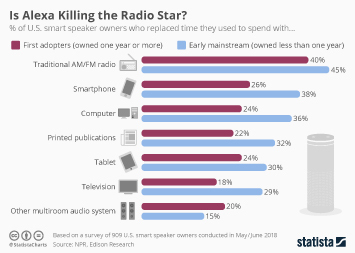 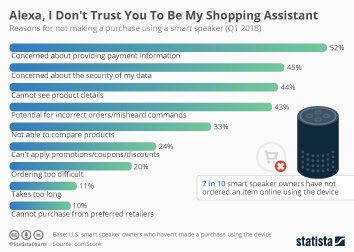 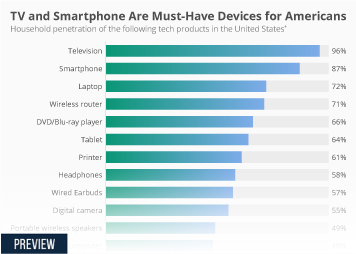 As the following chart, based on comScore data illustrates, 1 in 5 Wi-Fi equipped households in the United States now have at least one smart speaker. 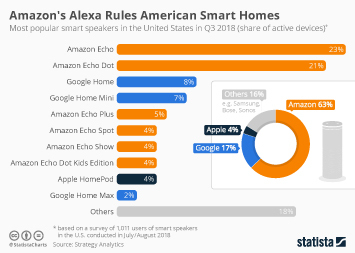 While this is still far from the majority, the adoption rate has more than doubled in little more than half a year. 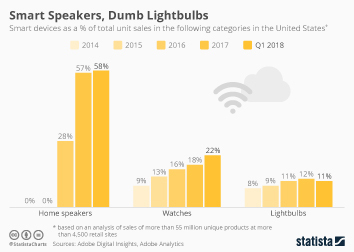 Apple’s market entrance along with the steady stream of new models by other manufacturers will likely lead to a further increase in adoption going forward. 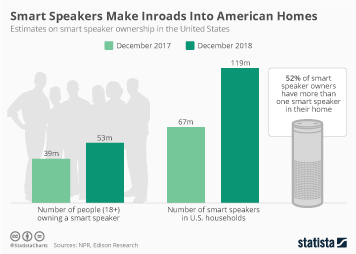 This chart shows the percentage of U.S. Wi-Fi households with at least one active smart speaker.